Mac N Cheese is a staple in our house-- and I'm not talking the blue box kind. In the time it takes to cook the noodles, you can actually make your own homemade cheese sauce. So for the same amount of cooking time, you get a much better tasting mac. Tonight was a pretty bad night. It started off with the sink leaking, a trip to Home Depot and coming home expecting to make a quick Japanese dish...only to find missing ingredients. I didn't want to run to the store so I went with my go -to last minute dinner: Mac N Cheese. 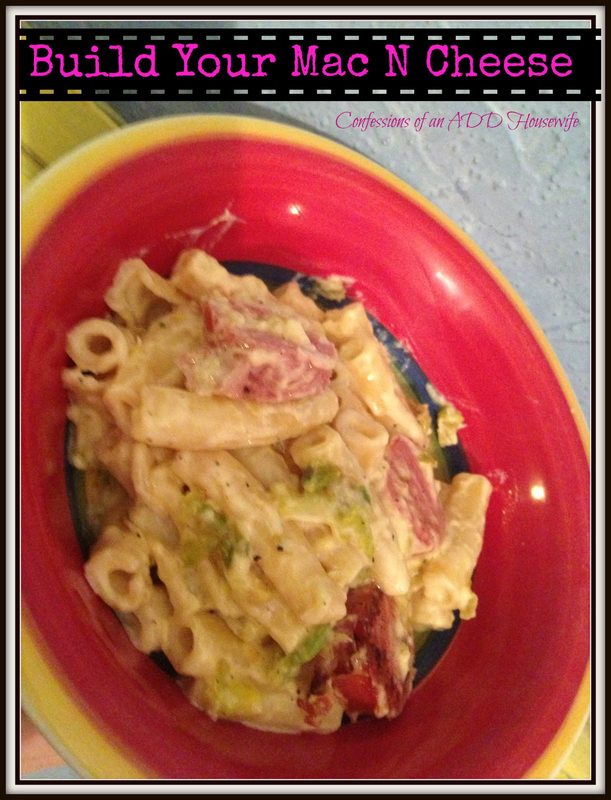 I usually have an embarrassing amount several varieties of cheeses in the fridge, so I can really make a creative mac...and it never tastes the same way twice! The kids prefer to have it topped with breadcrumbs for an extra crunch. I love being able to add in whatever meat and veggies are on hand to make sure it's not a total carb fest. In a saucepan, melt the butter over low heat. Whisk in flour. When the flour bubbles, slowly whisk in the half & half. Turn the heat up to medium and let cook until thickened. Add in cheese. Stir until melted. Season with salt and pepper. For our dinner tonight, I used a combination of gouda and colby/jack. 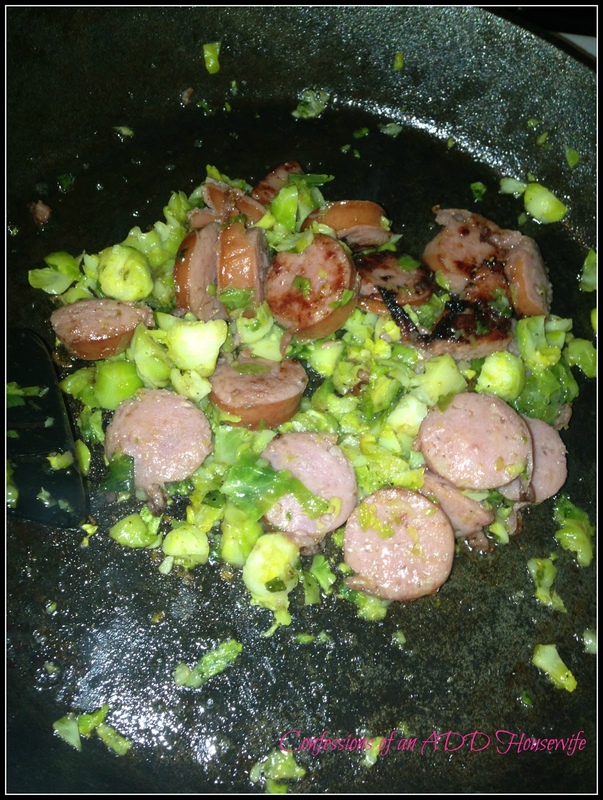 I also saute some kielbasa and Brussells sprouts. Let me assure you, kids will eat many things when covered in cheese...including Brussels sprouts! There weren't any leftovers, which is a good sign in our house! It's too bad, because I was really looking forward to this for lunch tomorrow. Love the idea of using different cheeses so it never tastes the same way twice! I also have an embarrassing number of cheeses in my fridge ...love it! Hi! Found you on Whimsey Wed blog hop. I love, love, love to mac home made mac and cheese and is a go to staple in my house because I always have noodles and always have cheese in the house. This one looks great! I will sometimes make a taco version using ground beef and taco seasoning, I have mixed purred carrots or squash into the cheese mixture, made a broccoli and cheese mac and cheese, added cooked hot dogs, added a can of diced tomatoes, etc. You name it I have prob tried it. Now following you via Bloglovin'.